Last year’s BBC documentary on Ireland's "Limbo Babies" [featured on our Family History YouTube channel] brought to light an emotionally charged issue that affected almost all of our Irish ancestors. Ever since the Roman Catholic Church declared that the non-baptized were forbidden burial in consecrated ground, faithful Catholics, particularly parents, were tormented by the uncertain fate of these infants. lie the graves of thousands of unbaptized babies. The lack of records for the cillíní [children’s burial grounds] make it challenging for archaeologists to identify them. This difficulty is compounded by the Church’s ambivalent attitude toward those buried within – they were, in the Church’s view, neither in nor completely beyond the family of Christianity. Even the word cillíní itself, meaning 'little graveyard' in Irish, suggests the separation of the graves. This issue was drawn into the public eye when in 2000 the Diocese of Down and Conor, the trustee of Belfast's Milltown Cemetery, sold 37 acres of cemetery land to the Ulster Wildlife Trust for £37,000 [$57,000 US]. The church later described the sale of the land as a “clerical error.” This acreage had long been known to contain thousands of bodies in mass inhumation (unconsecrated) graves. Maguire came in to assist the families in finding proof that there were far more burials in the land sold than the 11,000 listed in the cemetery records, so they could convince the diocese to buy back the land and return it to its stewardship. The diocese authorized a survey using ground-penetrating radar to determine just how far into the bog meadows the graves might extend. The results were so staggering that an extensive excavation project, exploring 51 trenches, was started last month, headed by the Northern Archaeological Consultancy (NAC). Alannah Ryane, TheWildGeese.com’s Family History Producer, posed, via e-mail, questions to Maguire as the archaeologist was on site at the Milltown Cemetery dig. Ryane asked Maguire about the status of the project and what she hopes to accomplish with it. TheWildGeese.com: Toni, as the on-site archeologist, you have been at the center of this controversial, sensitive issue almost from its beginning. Now that the excavation has started, would you please give us an update on your progress. 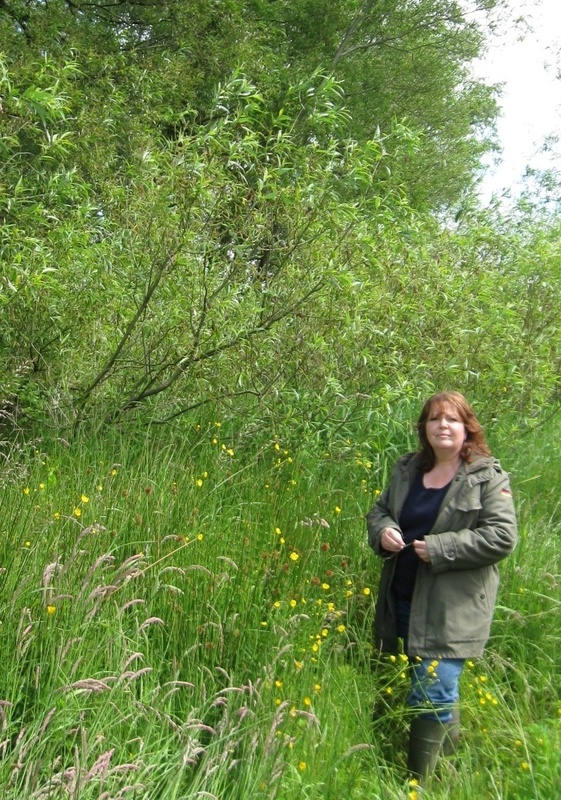 Toni Maguire: The results from the 2010 geophysical survey have established the presence of anomalies, which could be graves extending over much of the 37 acres of the Bog Meadows. However, these anomalies could equally be caused by changes in the ground conditions or tree roots. For this reason, it is necessary to excavate, to determine the presence or absence of human burials. For a large area within the six acres already reclaimed by the Diocese, documentation exists for approximately 11,000 burials in mass inhumation graves. Nevertheless, this area must be excavated to determine the size and extent of the graves. The ultimate hope of the relatives is to produce a more accurate map of the graves and allow them to erect a marker to their babies, at last. All those involved in the current phase of this project are sensitive of the emotive nature of the issue at the center of this research. The potential for shallow graves, coupled with the easy access to the site of passers-by, exacerbates the fragility of maintaining a balance between getting the work done and respecting the sensitivities of the relatives who may be present. The work will be slow, as the excavation team must proceed with care, while the weather at this time of year has impacted of the progress. There will be at least 51 trenches dug across the 37 acres, just one trench at a time. The first of the trenches located at the St. Gaul’s Gate, where there is a concentration of infant burials, was opened today [January 3] and will continue tomorrow. The personal account [of Dan Skelly, a local gravedigger] described the burial of infants here: “We laid the babies out in layers, like carpet.” I will send regular updates on the progress of the excavations at Milltown Cemetery and the Bog Meadows to your readers. TheWildGeese.com: How do you feel about getting this close to your long-awaited goal? Maguire: It was hard to challenge the Church, but this issue needed to be addressed on behalf of all the parents who had asked for my help. Milltown is a test case for the recognition of cillíní by the Catholic Church and the Environment Agency, as I have 97 similar sites in County Antrim alone. The excavation at Milltown will continue into April and it could be June or July before the true extent of the burial ground is known. For more information about cillíní, please contact Toni Maguire, at mmaguire19@qub.ac.uk . ABOUT TONI MAGUIRE: Toni has a BSc, MA. BSc in Archaeology and Palaeoecology and an MA in Social Anthropology. She is currently involved in PhD research at Milltown Cemetery and is married to Leo Maguire, the Northern Ireland National Taekwondo Coach. Toni has lost three babies, so she can empathize with the families at Milltown. What a nightmare scenario for indoctrinated young mothers to go through; and I pity those who initiated these evil practices of the 'Holy' Roman Catholic Church. Did the same happen in Scotland, and England - nothing questioned and nothing said? Click Here To Sign Up For Our Free Newsletter and read our EXCLUSIVE interviews! Try our IRISH HISTORY PUZZLER for a chance to win. A $10 gift card towards merchandise from our shops goes to the first who answers the puzzler correctly - A New Winner Each Week! Cromwell And His Irish "Friends"
Searching Fur Trader Robert Campbell's Family Tree for my Grandfather's Millions!! From Disaster to Irish Refuge. Was he ordered into a lifeboat to be the fallguy? Manhattan's famous watering hole PJ CLARKE'S was home to generations of Clarkes from Co. Leitrim Ireland. Our Canadian videographer Interviewed the Irish filmmakers of 'Diaspora' and 'Alive From the Divas Flats' at the 2012 TORONTO IRISH FILM FESTIVAL. KNOW THY PLACE from Cork, Ireland "THE ARCHAEOLOGY OF GENEALOGY" uncovers your ancestral home's family history. The play 'Kid Shamrock' about an Irish fighter who lost the title because of the drink then won his battle with alcohol opens in Manhattan.